← Rowan Williams: A Silent Action. Engagements with Thomas Merton. It is almost five years ago that I read T&ST for the first time. Ok, that is not such a long time, but for me, theologically, it is. Since I then decided to report on the experience on my old blog, it is only fitting that I return to the subject. At the time of course, I was working on my Ph.D in Patristics, and my knowledge of current theology was almost non-existent, a fact I myself was completely unaware of. Since then I have almost exclusively focused on current theology and it was thus very interesting to revisit this book. Obviously, I had a very hard time understanding it last time, I did not know one tenth of the people discussed in this book. But most of all it was a culture shock. Coming from Early Christian Studies, with all its talk about ”Christianities” and ”Hellenisms” I was completely shocked that Milbank actually claimed that were such a thing as the Christian tradition. To me this seemed extremely arrogant and misinformed. Didn’t he know how diverse expressions of Christian faith has been throughout history? After reading 30-odd books by Hauerwas, this no longer gets to me. I still, incidently think that the major weakness in the book is the last chapter on the Church. It is as if Milbank suddenly hits fast-forward here and blazes through a complete understanding of Christianity in 20 pages. It makes one feel a bit cheated – after reading all this ”criticism” one is waiting for the alternative. But of course Milbank does flesh this out elsewhere – in Being Reconciled and in several important articles. Another problem is that I fail to see a connection between the part on sociology and the part on postmodern philosophy. That they are both aspects of ”secular theory” does not seem to be enough. In fact, it seems this could have been made into two slightly less daunting books. Both parts are important and interesting by themselves, though – I especially find the part on postmodern thought valuable this time around.What I appreciated this time that I failed to understand the last time is the way Milbank tells a story here – it is very well done. Then of course there is the now fairly common criticism that he simplifies to much when telling the story of how ”the secular” arose within theology in the first part of the book. That may be so, but the point itself is important enough anyway. A similar point can be made about Liberation Theology. He just says too much about it based on too few (and perhaps too old) books. The thing that puzzles me is why I felt so irritated by his ”tone” the first time I read it, because now I mostly find it balanced and clear. 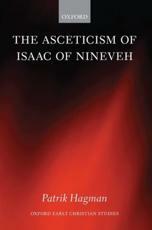 It may be that the second edition is a bit more polished – I didn’t find the comment on Eriugena being more Christian than Thomas that so irritated me the last time – or it may be that writers like David Bentley Hart has raised the standard for ”arrogant” in theological writing a notch or two. Mostly, I guess, it is me who has changed.